← Was Charles Darwin An Atheist? When it comes to the theory of evolution, there is often an unnecessary clash between “men of faith” and “men of science.” I frequently see other scientifically minded people debate with creationists by either attacking the Bible or completely ignoring it and focusing entirely on the science. I think that both of these tactics are fundamentally flawed. There is no reason why you have to be either a man (or woman) of faith or a man of science, you can be both, and any attempt to persuade a believer to accept evolution without discussing theology is doomed to fail. Therefore, I am going to take a somewhat novel approach to this situation. For sake of discussion, I am going to ask that everyone reading this temporarily accept the premise that the Bible is the divinely inspired Word of God, and I am going to then demonstrate that even with that premise in place we still have to accept science, including the science of evolution. To be clear, I most decidedly am not trying to persuade anyone to become a Christian. In fact, I am not making any claims or arguments about whether or not Christianity is true, God exists, etc. Those are all outside of the realm of science. Therefore, I am simply trying to show that Christianity and evolution do not have to conflict with one another, and people with a Christian world view should still consider the scientific evidence for evolution. In other words, within the context of this blog, I am concerned only about science, but sometimes I find that it is necessary to discuss religion before people will listen to the science. So that is what I am going to do here, because I often find that this approach allows me to have conversations with Christians that I could not otherwise have. The Bible is the fully inspired and infallible Word of God. It is impossible to read the Bible without interpreting it. Any interpretation that conflicts with something that we know to be true must be rejected. There is overwhelming scientific evidence that the earth is ancient and life gradually evolved. Therefore, a literal interpretation of Genesis must be rejected. Therefore, Genesis must be a parable designed to teach spiritual truths rather than scientific facts. Generally speaking, theistic evolutionists argue that God sparked the Big Bang, then allowed nature to run its course and did not intervene again until humans evolved sentience, at which point he established a personal relationship with humans. There are also theistic evolutionists who argue that God created the first cells, then let evolution run its course, and there are still others who say that God guided the process of mutations to ensure that humans would be the ultimate outcome. These views become increasingly unparsimonious, but none of them can technically be discredited using science (I won’t enter into philosophical arguments about God’s existence here). Interestingly, most of the hostility towards theistic evolutionists comes not from scientists, but from young earth creationists. Organizations such as Answers in Genesis are adamant that theistic evolution is “dangerous,” and theistic evolutionists have “compromised” by rejecting the literal interpretation of the Bible. The vast majority of their arguments are, however, straw man fallacies. Creationists frequently claim that theistic evolutionists are, “trusting man’s wisdom instead of God’s,” “asserting that man is smarter than God,” or some other such nonsense. The reality is that all of the theistic evolutionists that I have met or whose writings I have read, have been extremely sincere about their faith. They are not claiming that God made a mistake or that man is smarter than God, rather, they are claiming that man’s interpretation of the Bible is flawed. This is a very important point. Creationists continually assert that they have the spiritual high ground because they are simply accepting what the Bible says, whereas theistic evolutionists are making interpretive judgments. In reality, however, both creationists and evolutionists interpret the Bible. What creationists seem to forget is the fact that a literal interpretation is still an interpretation. Nothing in the Bible says that you have to interpret it literally, and, in fact, there are passages that virtually all Christians (including creationists) agree are figurative. So, ultimately, for any given passage, human beings are using “man’s logic” to decide which passages to interpret literally and which ones to interpret figuratively. There are many factors (such as the literary genre of a passage and its connections to other passages) that are used when determining how to interpret a passage of the Bible, and all that theistic evolutionists are proposing is that scientific evidence (i.e., things that we know to be correct) should be included as one of those factors. Creationists claim to ardently disagree with this proposition, but the reality is that they are extremely inconsistent about how they interpret the Bible, and in many passages they do in fact use scientific to make their interpretive judgments. I will prove this using the example of Galileo Galilei. Galileo was not the first person to suggest that the earth moved around the sun (i.e., heliocentrism) rather than the sun moving around the earth (i.e., geocentrism), but he had something that his predecessors lacked: a telescope. 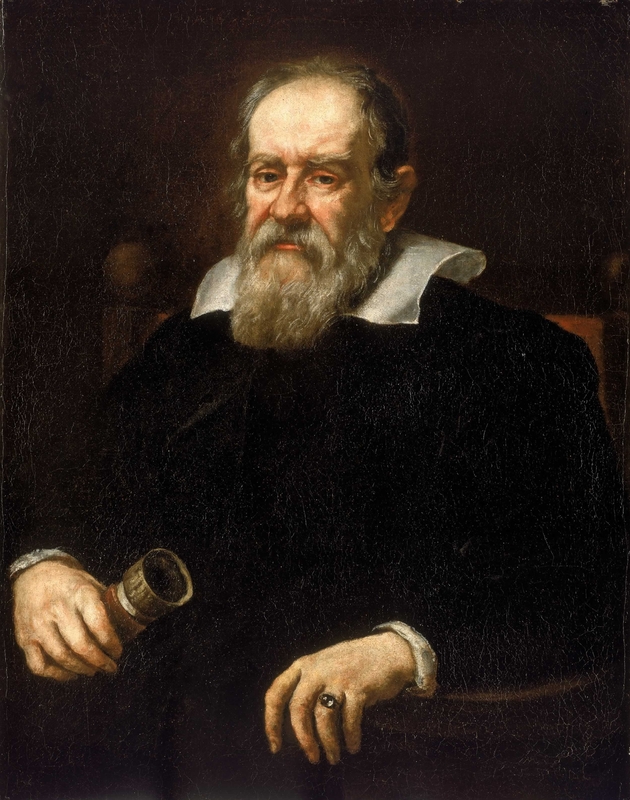 With his telescope, he could make observations that were impossible for his predecessors, and he used those observations to demonstrate that heliocentrism was in fact correct. This got Galileo in trouble with the church (although the outcry against him was not as universal as some would have you believe). You see, several passages of the Bible clearly state that the sun moves around the earth. For example, 1 Chronicles 16:30, Psalms 93:1, Psalms 96:10, and Psalms 104:5 all very clearly say that the earth’s position is fixed and it cannot be moved. Most famously, there is a passage in the book of Joshua where the armies of Israel are in a battle and they need more time to win it so God performs a miracle and makes the sun and moon stand still, thus making the day last longer and giving Israel the time needed to win the battle. The Bible very clearly says that the sun stopped moving, “And the sun stood still, and the moon stopped” Joshua 10:13. Prior to Galileo, everyone read those passages completely literally, and there was no good reason for them not to (anyone who spends a lot of time observing the night sky without the aid of a telescope will notice that it does in fact appear that the earth is stationary and everything else is moving around it). So, when Galileo said that in actuality it is the earth that is moving, not the sun, many members of the church took umbrage at this claim because it conflicted with a literal interpretation of the Bible. In fact, they made many of the same arguments that creationists make today. They claimed that we have to trust the authority of the Bible, not science and man’s wisdom. Galileo’s response was the same one that theistic evolutionists use today. He explained that he was not questioning the Bible itself, rather, he was questioning man’s interpretation of it. He was perfectly content to reinterpret passages such as the one in Joshua to accommodate new scientific discoveries. The Bible is the fully inspired word of God. The Bible clearly says that the sun moves around the earth. We cannot allow science to influence how we interpret the Bible. We have to trust what God said, not man’s flawed logic. Therefore, helicentrism must be wrong. The Bible clearly says that all organisms were created less than 10,000 years ago. Therefore, evolution must be wrong. Argument #1 is the argument that was used by members of the church against Galileo, and it is clearly a flawed argument. Argument #2 is the argument that is used by creationists and it is identical to Argument #1. Therefore, according to the Law of Noncontradiction if argument #1 is a bad argument, then Argument #2 must also be a bad argument. In other words, you cannot simultaneously say that it is ok to use the science to interpret Joshua, but it’s not ok to use science to interpret Genesis. At this point, creationists generally object to the second premise of Argument #1. They claim the Bible does not clearly say that the sun moves around the earth, because those passages are obviously being figurative, whereas Genesis does clearly say that all organisms were created less than 10,000 years ago. There are several problems with this. First, it’s a blatant question begging fallacy. The passage in Joshua does not of itself seem to be figurative, especially when everything else in that passage is clearly being literal. Further, everyone prior to Galileo interpreted that passage literally. So it was clearly not, “obviously figurative” to them. Further, the only reason that Christians interpret that passage figuratively today is because of science! If we had never discovered that the earth moved around the sun, then ipso facto we would still think that the sun moved around the earth, and ipso fact we would still interpret Joshua literally. The second problem with the creationists’ response is that theistic evolutionists say the exact same thing about premise #2 of Argument #2. While to creationists it is obvious that the Bible clearly supports a young earth, it is not at all obvious to theistic evolutionists. This brings me back to me central point: theistic evolutionists aren’t questioning the Bible itself, rather they are questioning man’s interpretation of it. A literal interpretation is still an interpretation. Finally, it is worth noting that geocentrists still exist today. There are groups of Christians who are adamant that we cannot use science to interpret the Bible, and therefore we must accept that the sun moves around the earth. Major creationist organizations deliberately distance themselves from these groups, but both groups use completely identical arguments. Do they seem pretty similar to you? Both groups ardently claim that the Bible alone is to be trusted, and any scientific results that conflict with a literal interpretation of the Bible must be rejected. Both groups have lengthy pages of “technical documents” where they try to twist science to match a literal interpretation of the Bible, and both groups claim that anyone who uses science to interpret the Bible has compromised and given into man’s wisdom, which is where things get interesting. The geocentrists claim that groups like Answers in Genesis have compromised their faith by accepting the scientific interpretation of Joshua. All of those claims that creationists make about the dangers of theistic evolution are also claims that geocentrists make about the dangers of heliocentrism. Meanwhile, the creationists claim that the geocentrists are wrong to try to interpret Joshua literally, and they find it absurd to think that accepting heliocentrism somehow compromises their faith, even though they use identical arguments against theistic evolutionists. The genocentrists may be nuts, but at least they are logically consistent, which is more than I can say for the creationists. To summarize, my point in all of this is that if you are a Christian who accepts that the earth moves around, then you have already accepted that science can be used to interpret the Bible. Therefore, you should carefully consider the evidence for evolution rather than blindly writing it off. At least according to legend, Galileo recounted a frustrating tale where he took one of his opponents onto a roof at night and offered him a telescope so that he could see the evidence for heliocentrism with his own eyes, but this man was so persuaded by his religious convictions that he refused to even look through the telescope. Today, we laugh at that man’s foolishness, but that is no different from what most creationists do. Most of them refuse to look at the evidence for evolution and groups like Answers in Genesis openly admit that they are starting with the assumption that the earth is young and then trying to make the data fit that assumption (which is not how science works). So, to any creationists reading this, please actually consider the scientific evidence. Accepting evolution does not require you to reject your faith. Just as Galileo interpreted Joshua figuratively in light of the science of heliocentrism, you can interpret Genesis figuratively in light of the science of evolution. Insisting that you cannot use science to interpret the Genesis is irrational and logically inconsistent. This entry was posted in Nature of Science, Science of Evolution and tagged Bad arguments, creationism, evolution, theistic evolution. Bookmark the permalink. You have made several logical errors so I am going to try to briefly explain them. 1. First, I think you have missed my point. You said, “1 Chronicles 16:30, Psalms 93:1, 96:10, and 104:5 are NOT intended as a statements of scientific fact” I completely agree, that is in fact the argument that I am making. What you seem to be missing is that people thought that it was a statement of scientific fact until Galileo (especially the Joshua passage which is the most problematic one). We only interpret them figuratively today because we allowed science to interpret the Bible. That’s my point. 2. “Scientific evidence must also be interpretted[sic].” This is a very common misconception about science. I plan on dealing with it at length in a coming post, but briefly, the way that scientists use the word “interpret” is very different from the way that most people use it. When we say that we “interpreted the data” we mean that we drew the most plausible logical conclusion. Most of your points are a misunderstanding of how science works. You are proposing that scientists and creationists both have different starting points, therefore they both reach different conclusions, but that is not how science works. Anytime that you go from a conclusion to evidence, you are by definition doing pseudoscience. This is the fundamental problem with creationism. It starts with the conclusion the Genesis is literal, then it tries to make the evidence fit that conclusion. That is not what scientists do. Rather, we simply ask, “how did this fossil form?” “how old is this rock?” etc. then look for the answers to those questions. Let me illustrate this using varves. They are alternating layers of light/fine and dark/course sediment that accumulate in lakes as a result of seasonal changes (light/fine layers = winter; dark/course layers = summer). We can verify that these correlate with seasons because we find algae in the dark layers, but not the light layers (algae only blooms in summer). While varves around the edges of lakes can occasionally accumulate more than one layer a year from storms, varves in the center of the lakes only accumulate one layer each year. In the center of some lakes, we have up to 6,000,000 sets of alternating layers. So, how should we “interpret” the data? The answer is obvious, these lakes are at least 6,000,000 years old. Notice, this is not an “interpretation” in the normal sense of the word, rather this is a logical deduction that follows necessarily from the premises. Also notice, we didn’t need a “naturalistic” starting point to arrive at the conclusion. Rather, it is the only logical conclusion given the data. 4. Therefore these lakes are six million years old. This is in no way shape or form an interpretation of the data. It is a complete and total rejection of the data. This is not science, it is pseudoscience. The scientists’ interpretation is a logical conclusion that follows from all known facts. The creationists “interpretation” is an illogical ad hoc fallacy that completely ignores the facts and proposes an unknown and completely absurd mechanism. One of these is science, the other is not. Scientists look at the data and draw a logical conclusion, creationists (pseudoscientists) look at the data, and try to twist it make it fit their preconceptions. Most of the rest of your comment makes me wonder if you actually read my post. For example, you said, “What is truly irrational and inconsistent is to claim to believe in Christ while saying that He is wrong” even though I explicitly explained that theistic evolutionists do not think that God was wrong, or that they are smarter than God or anything like that. It is only man’s interpretation of the Bible that is being questioned. Similarly, you have totally ignored the Galileo argument. Whether you like it or not, it is logically inconsistent to use science to interpret Joshua, but not Genesis. For example, you said, “Theistic evolution places human reason above [what] God revealed. Who is God then? Who knows more about creation?” people in Galileo’s day said, “Heliocentrism places human reason above what God revealed. Who is God then? Who knows more about creation?” If that line of reasoning didn’t work for them, then it can’t work for you. This is what you seem to be missing. All of your arguments about starting points for “interpreting” science, “man’s wisdom” vs God, etc. all apply equally to Joshua. Like it or not, your position is logically inconsistent, and therefore invalid. Finally, regarding the list of creationists, that is a blatant appeal to authority fallacy. No matter what crackpot position you hold, you can find people with advanced degrees who think your right. “When we say that we “interpreted the data” we mean that we drew the most plausible logical conclusion.”- Which is what theologians do when the exegete the scriptures. “You are proposing that scientists and creationists both have different starting points, therefore they both reach different conclusions, but that is not how science works.”- That is a fallacy Mr. Fallacy Man. Can you name it. For someone who prides himself on pointing out fallacies you sure do use them a lot. I would absolutely love to know how you think there is a fallacy there. “Scientific evidence must also be interpretted[sic].” This is a very common misconception about science. I plan on dealing with it at length in a coming post, but briefly, the way that scientists use the word “interpret” is very different from the way that most people use it. When we say that we “interpreted the data” we mean that we drew the most plausible logical conclusion. Most of your points are a misunderstanding of how science works. – Most plausible conclusion based not only on the data but also your pre-suppositions that you bring to it. You are not being intellectually honest. You mean interpretation in the same way everyone does. You are simply trying to skirt the issue which is the fact that you have a starting point. Everyone does. Yours happens to be Darwin or at least his intellectual offspring. You don’t live in a vacuum. “Let me illustrate this using varves. They are alternating layers of light/fine and dark/course sediment that accumulate in lakes as a result of seasonal changes (light/fine layers = winter; dark/course layers = summer). We can verify that these correlate with seasons because we find algae in the dark layers, but not the light layers (algae only blooms in summer). While varves around the edges of lakes can occasionally accumulate more than one layer a year from storms, varves in the center of the lakes only accumulate one layer each year. In the center of some lakes, we have up to 6,000,000 sets of alternating layers. So, how should we “interpret” the data? The answer is obvious, these lakes are at least 6,000,000 years old. Notice, this is not an “interpretation” in the normal sense of the word, rather this is a logical deduction that follows necessarily from the premises. Also notice, we didn’t need a “naturalistic” starting point to arrive at the conclusion. Rather, it is the only logical conclusion given the data. – But what are your assumptions? I am going to let you think about that one on your own. BTW you are appealing to probability. -Why on earth would you use science to interpret any miracle? That is patently absurd. Those are the kinds of things that science does not deal with. That said, I wouldn’t use science to interpret either text unless the context indicated that that is appropriate. The fact is that a 6 day creation is the ONLY way to interpret Genesis on it’s own terms. Now you can speculate on the age of the earth all you want but what is not up for debate is 6 day creation, the flood, and Jonah. Jesus treated these things as historical fact and whether you want to confess it or not you are saying that God is wrong and you are smarter than God. In your theology you have a God who is responsible for death and a denial of the fall. I would argue that you have a different God from the one in revealed in the Bible and you just happen to call Him Jesus. Are you going to say that Jesus body and blood are not present in the sacrament of the altar because secular scientists say that that is not possible because miracles don’t happen because miracles don’t happen (I am purposely emphasizing their circular reasoning). -Only logically inconsistent if you ignore what I am trying to tell you. You are actually committing a fallacy here. Joshua hasn’t anything to do with this. Also, your are quite selective about which historical facts you wish to be brought to light, not that Galileo has anything to do with whether or not Darwinism is true. You major fallacy overall is basically “See, the Pope was mean to Galileo so we have to let secularist scientists tell us what we can and can’t believe from the Bible. Christianity will hold back science so we have to ignore what the text clearly teaches and take a tip from the medieval scholastics and impose our views onto the text and eisegete the text to our liking.” Yeah, that is pretty much what it amounts to. Here is some reading for you. Don’t expect to have communion at the same table as me. Again, your arguments are incoherent. “The Bible predates the scientific method…so no one would have ever taken it as a statement of scientific fact.” That doesn’t make any sense. The Bible predates science, but you think that when it says the earth was created roughly 6,000 years ago, it is making a statement of scientific fact (at least that seems to be your view based on all your comments). Further, are you asserting that there was no religious controversy around Galileo? It’s a historical fact that some members of the church attacked Galileo and his work because the Bible said that the earth didn’t move and they took that as fact. Just look up the various letters between Galileo and his opponents. The outcry against him was certainly not universal (many people had no problems incorporating his view into the Bible), but it is a historical fact that plenty of people opposed him because it conflicted with their interpretation of the Bible. Regarding varves, no unmerited assumptions are necessary, that’s my point. If I explained varves to someone with no knowledge or biases about the age of the earth, they would agree that it must be several million years old. Please show how ANY of these premises require the assumption that the earth is old? “-Oh really? Citation please.” I personally asked a representative from Answers in Genesis to explain varves to me, and that is what he told me. Further, can you give a better explanation? “Why on earth would you use science to interpret any miracle?” What? We aren’t talking about miracles here. Miracles (if they exist) are by definition violations of the laws of physics. As such, science cannot say anything about them. In other words, if a supernatural being exists and is in some way responsible for the creation of the physical universe, then it logically follows that he is capable of superseding those laws when he chooses. Therefore, science cannot say anything about the virgin birth (for example). The age of the earth and the flood are completely different situations, because although they may have a supernatural origin they would have interacted so directly with the physical world that they can be tested using science. In other words, a world-wide flood would have left very, very clear evidence behind, but there is no evidence anywhere that it occurred. I plan on spending several posts dealing with the evidence that clearly proves that a flood didn’t happen, but for now my point is simply that we aren’t talking about a miracle, we are talking about something that would have been physical and therefore is testable using science. “Only logically inconsistent if you ignore what I am trying to tell you. You are actually committing a fallacy here. Joshua hasn’t anything to do with this.” What fallacy!? Further, why do you disagree geocentrists? They actually make these arguments. This is what you seem to be missing. There are actually Christians today who make the exact same arguments that you are making, just they make them about the movement of the earth. If their logic is wrong, then your logic MUST also be wrong. That’s what the law of non-contradiction dictates. “No matter what crackpot position you hold, you can find people with advanced degrees who think your right.” That simple statement of fact somehow demonstrates bigotry and hatred?? ok then. Also, I have never once in this conversation referred to creationists as “quacks” you are assuming an awful lot about my views. Oh goodness, here comes the “no missing links” argument. We have hundreds of intermediates that are exactly what we would expect intermediates to look like. It’s a question begging fallacy to argue that these aren’t actually intermediates but are just specially created animals that look exactly like intermediates. “Don’t expect to have communion at the same table as me,” and “I’ll see you on judgment day.” but I’m one with bigotry and hatred???? You don’t find anything hypocritical about this? I never claimed the earth was 6,000 years old. I never claimed to know how old it was at all, only that it is much younger than evolutionist theorize. But back to my point, you are bringing your worldview to the evidence. The question is not the evidence but whose worldview is true and whose is false. No, that “interpretation” is ad hoc nonsense, and my expliantion of it is in no way a straw man oversimplification. They showed that under some conditions more than one layer can form per year, but never that thousands can form in a single day! You need a rate of over 10 layers per minute to have all the varves form during the flood! That is not only several hundred times faster than the fastest rate we have ever observed, but it is faster than physics allows those particles to settle out. Further, those fast accumulations that they talk about are “varve like” not actual varves. Remember you have to sort algae as well. Further, lets not forget that these only form over lake beds. How on earth did a global flood pull that one off? That is in no way shape or form an interpretation of the evidence. It is proposing an utterly absurd and downright impossible rate. Here is the key problem and the reason that creationists arguments are not logically valid. Nothing will ever convince them that the earth is old (Ken Ham has even admitted this in an interview). They have decided that the earth is old, so no matter what evidence you show them, they are going to “reinterpret” it to show that the earth is young. That is why they are pseudoscientists and why their arguments are ad hoc fallacies. ““Don’t expect to have communion at the same table as me,” and “I’ll see you on judgment day.” but I’m one with bigotry and hatred???? You don’t find anything hypocritical about this?” – No, it would actually be hypocritical of me to have communion with you because that would insinuate that we believe the same thing when we don’t. As for seeing you on judgment day that was to express that I don’t expect to meet you in this life and to remind you of the coming judgement and that you consider where things are heading. Do you really want to place fallen human reason above the words of Jesus considering that? So you have made creationism more important to the Christianity than a faith in Christ? Fascinating. As for you being a bigot I stand by that. I just want to clarify something. I do not think that scientists who are evolutionists are necessarily quacks and hacks, I just think they have a false worldview (presuppositions) which lead them to their erroneous conclusions and blind them to alternative view points. I also think the vast majority of them are bigoted against creationists, feel threatened by them, and feel the need to silence them and stamp them out so that they need not be challenged either to think differently or they need to save face or whatever. I am sure it varies according to individuals. I am actually married to a professional scientist who accepts old earth evolution. I love her to death. I think she does great work for science and humanity, but from what she tells me of it she doesn’t need evolution to do it. It’s just some baggage she picked up from her supposedly Atheist or Agnostic father and the school system. If evolutionists would open their minds and hear what creationists have to say they might actually advance science much faster by finding solutions to their own problems in the work of creationists. In some sense I apologize for being so harsh with you here but it is not for no reason. I don’t know what type of scientist your wife is, but in biology (which is my area of research) evolution is absolutely necessary. Nothing makes any sense without out. You can think that we feel threatened by creationism all you want, but that’s just not reality. You mean it doesn’t make sense according to your presuppositions without it. If evolution is so air tight why are European scientists going back to the drawing board on it? Not that they are ditching evolution yet, they are ditching Darwin. I will bet that what they come up with is not better. What European scientists are ditching Darwin? Also, that’s another appeal to authority fallacy. My wife thinks she needs it too but it’s funny how the subject NEVER comes up in our discussions at home or when I tag along with her to syposiums and conferences. I have yet to go to a conference where evolution was not discussed at length. I stopped after 1.5 minutes because the logical fallacy was already apparent (and dealing with all of your comments is already taking up way to much of time, if there is something that you think is really crucial later on in the clip, let me know and I’ll listen further in). First, its a straw man fallacy because evolution has absolutely nothing to do with the origin of the first cell (which would have required DNA). Evolution only deals with what happens after you have DNA. Second, this is a classic argument from ignorance fallacy. “we don’t know how X happened, therefore God.” Just because scientists don’t currently understand something doesn’t mean that there isn’t a natural explanation. to clarify my last comment, I didn’t stop at 1.5 min because I am refusing to listen to opposing arguments, but I am extremely busy and this blog is taking up way too much of my time, and I have heard creationists go down this road before. So if there is more to that clip than the straw man fallacy that the origins of DNA have anything to do with evolution and the argument from ignorance fallacy that a lack of current scientific understanding is a problem evolution, let me know and I will listen further. appeal to authority fallacy! There are MDs who still think smoking doesn’t cause cancer, there are PhDs in physics who reject heliocentrism, etc. The fact that there are some people with advanced degrees who agree with you doesn’t mean that your position is logically valid. “You can think that we feel threatened by creationism all you want, but that’s just not reality.” – It is a reality or else evolutionists would not so consistently misrepresent what creationists are saying, try to silence them, etc. They would actually engage them. What’s ironic is that Answers in Genesis, the Institute for Creation Research and some other creation science proponents now argue for evolution as the way that the thousands of pairs of animals from the ark evolved into the millions of distinct species that we see today, but it all happened within the last 6000 years. You will see this in the most recent Christian homeschooling materials. For example, the hundreds of thousands of modern beetle species diverged from a single breeding pair of beetles on the ark. They refer to this as an example of microevolution, but in reality they are suggesting macroevolution, since it involves the generation of novel, complex forms. Apparently, evolution is true, but only when it is convenient for them. I find this to be rather hypocritical. They of course claim to adhere to a strict Biblical reading due to their dogmatic (and incorrect) insistence on a literal interpretation of the creation text, but they strain out a gnat only to swallow a camel. The problem is, macroevolution doesn’t happen that fast. And microevolution can’t account for such a rapid rise in the number of alleles (variants of a gene) even within the individual species over this time period. There are far too many species now, and these species have far too many alleles in their respective gene pools for them to have evolved in the span of 5000 years from any set of thousands of animal pairs that could have fit on the ark. Furthermore, their explanation for the variety of modern species refutes their own assertion that mechanisms such as the bombardier beetle’s chemical defense mechanism could have evolved naturally. You see, young-Earth creationists also teach that animals’ parasitic, predatory, and defense mechanisms only appeared after Adam and Eve’s sin, as they claim that all animals lived peacefully with one another before this event. If we follow this argument to its conclusion, all animal forms such as the bombardier beetle’s chemical spray must have evolved after the fall, or even after the flood — in either case, a time span of only a few thousand years. This is nonsensical, since they elsewhere claim that the bombardier beetle’s defense mechanism is so irreducibly complex that it couldn’t have evolved even given millions of years. If it developed after Adam’s fall, then it happened within thousands of years, which implies evolution of novel, complex forms on a far grander scale than anything taught in a science textbook. Of course, God could have miraculously created these animals whole, or miraculously supplied the requisite genetic information after the flood. But why? This would be considered creation. Is there any Biblical basis for God miraculously creating new animals or their genetic information after the flood? God rested from his creative work on the seventh day, so to speak, before Noah even existed. Whether they attribute the large variety of post-flood animals and plants to an impossibly quick burst of evolution or to another act of special creation, they are trapped in their own artifice. In reality, what they are teaching is bibliolatry, worshiping some of the words of Genesis rather than the Word who is Jesus. That’s a fine straw-man you have there. Creationists actually deny macro-evolution, they affirm evolution within kinds. And how do you know how fast it happens? Or that it happens at any sort of steady rate. I think it can happen rather fast because when you consider that dogs originate from an original pair of wolves, and that many breads of dogs are perhaps 150 years old (i.e. the Deutsche Drahthaar. The evolutionists have been looking for the missing link for 150 years and it’s still missing. I have to think if the evolutionists have such an air tight case they would not behave as though they feel threatened nor insist on such dogmatism. The speciation of thousands (or millions) of individual species from any given breeding pair of a single “kind” is still macroevolution, because it involves the generation of novel forms. Take the bombardier beetle example I gave above. There are thousads of such examples of supposedly irreducibly complex forms that supposedly “could not evolve within the history of the universe”, and yet if you follow the logic of YEC to its conclusion, they must have evolved after exiting Noah’s ark. That’s macroevolution on a much larger scale than real science would suggest. And as for dogs, that’s a nice strawman you have there. The varieties that you see in dogs have evolved not by natural selection, but rather by artificial selection. Even so, all of the varied traits we see in dogs arise from natural genetic mutations! Selection, whether it is natural or artificial, can only operate on naturally arising mutations. Man did not create the mutations; man only did the selection of desired ones. So this blows a hole in the creationist mantra that genetic mutations can only degrade, and cannot produce new information. That doesn’t change the fact that the stuff you write is filled with logical fallacies and misrepresentations of the opposing side as you struggle to hang on to your errant view. See you on judgement day. You keep saying that we are committing logical fallacies, but you have yet to successfully point out an instance of one. You can keep claiming that we are wrong as much as you want, but until you can provide some evidence to support that position, your claims are meaningless. Typical, It’s like arguing with Atheists. No point because they just ignor what I say anyway. Judging from the comments, this mode of argumentation doesn’t seem to convince creationists in the least bit. The trouble is that you ask readers to accept a premise that is not demonstrably true, that God exists and that the Bible is divinely inspired (whether figuratively or literally interpreted). Also, I think it’s important to understand that speaking historically, “logic,” “reason,” and “scientific thinking” are not ubiquitous modes of analysis. All have roots in culturally specific modes of thinking. While I agree that these are all adequate methods of investigating a problem and coming to a propositional truth about evidence, it’s inaccurate to ascribe a sense of reason or scientific thinking to Galileo’s contemporaries (by this, I mean the majority of people who lived within earshot of Italy at the time). People didn’t think in terms of evidence and proof when it came to the cosmos or the natural world. They thought in terms of authority. To say that Galileo was going against a scientific understanding of the cosmos is assuming that such an understanding existed as we know it today, which is untrue according to historical sources. Most of this post is actually fine. I agree that the outcry against Galileo was not universal and that he was questioning an interpretation of the Bible not the Bible itself. To quote the post, “He was fighting against the contemporary principles of Bible interpretation which, blinded by Aristotelian philosophy, did not do justice to the biblical text.” The problem is that creationists do not apply this consistently, because they are making the exact same interpretive judgements that Galileo was fighting against. Further, as I have said before, there are still geocentrists today who make the exact same arguments that you are making (only they are attacking heliocentrism not theistic evolution). You cannot simultaneously say that their logic is flawed, but your logic works. That’s not valid. That depends both on what you mean by “evolution” and “settled.” Theories are the highest form of scientific certainty. So the theory of evolution by natural which states that life on the planet has slowly evolved over millions of years mostly through the process of natural selection is on par with the theory of gravity, cell theory, atomic theory, etc. Details of evolution are still debated, but the core concept is as settled as anything in science ever is (science doesn’t deal in 100% proof and always allows the possibility that it is wrong). You and I are going absolutely nowhere here, and I have better things to do with my time, so let me ask you one simple question that I think will end this: what would it take to convince you that evolution was true/the earth was billions of years old? Specifically what evidence would it take?